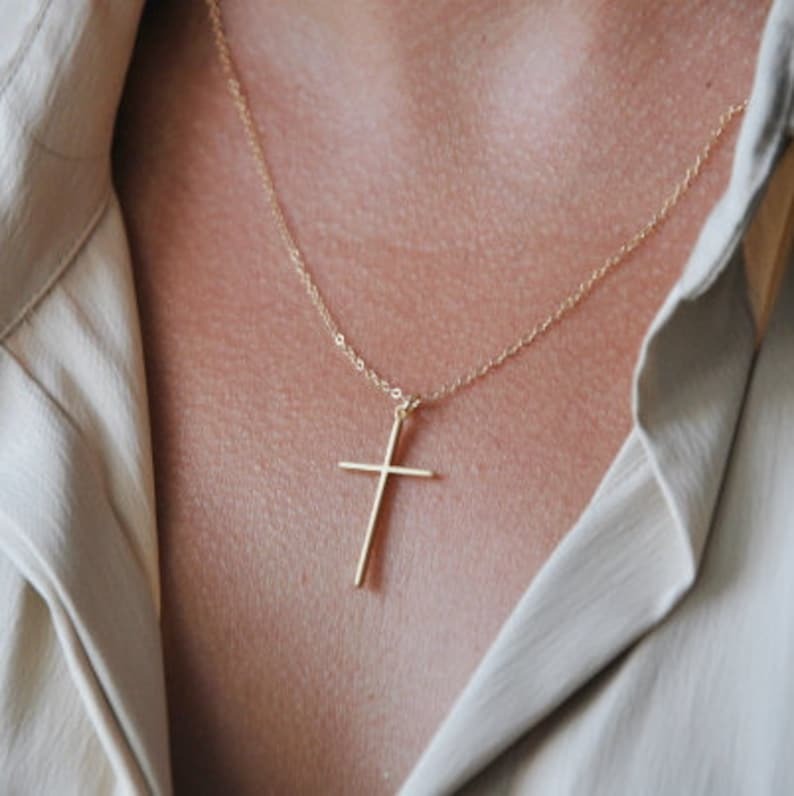 An thin elegant cross necklace that can be worn short or long and hangs from either a .925 sterling silver chain or a 14k gold fill chain. Just choose your color and length from the drop down menu. Skinny cross pendant comes in either a matt gold plated finish or a matt rhodium plated finish and measures 5/8" x 1-1/8" (16 mm x 29 mm). I absolutely love my cross necklace! It's so beautiful and delicate. 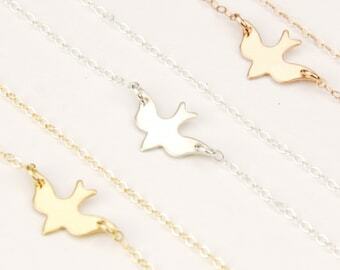 Love this necklace, very dainty but durable looking. Great customer service and shipped very quickly. Thank you!